New York Bridal Fashion Week is quickly approaching and we can't wait to see the new wedding gowns from JLM Couture designers! 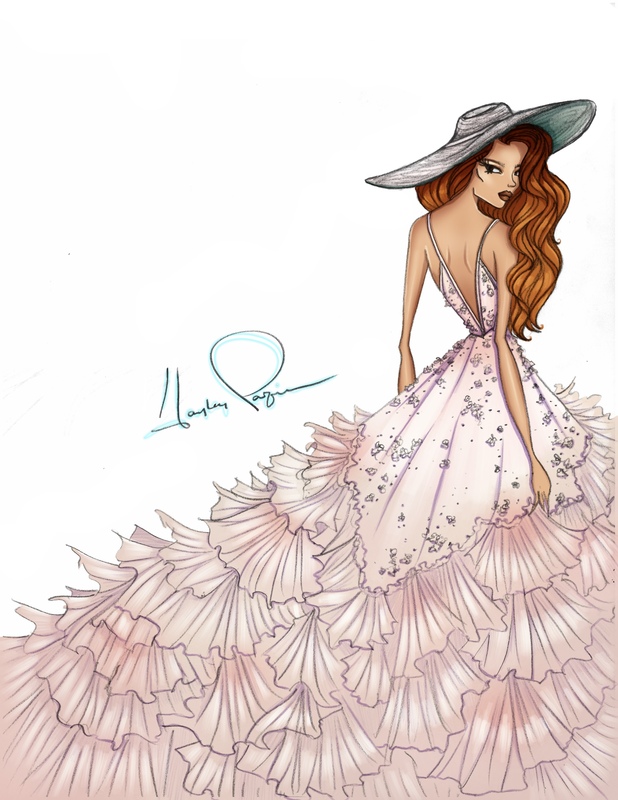 Below is a sneak peek from Hayley Paige, Blush by Hayley Paige, Allison Webb and Lazaro, including the inspiration behind each collection and exclusive sketches. Follow along on social media and stay tuned for the full collections as they make their debut in mid-April! Dax Gown - This season is about the interpretation of design in a physiological way. The idea is to create a collection that taps into all the senses (touch, sight, hear, smell, taste)... with the sixth sense being something radiantly new and energizing; a “sartorial umami." There is a generous amount of texture to digest, but also a considerable spectrum to explore a wider range in style. The Dax gown illustrated here is a tulle ballgown with prickled paillettes and layered florets; she’s wily and adventurous and made for the bride who welcomes that “sense of extra." Mabel Gown - As an unconditional complement to the Hayley Paige brand, the Blush by Hayley Paige collection is playing a flirty game of opposites: spontaneity vs. ceremonials. I’ve always believed in pursuing the harmony of something fresh with something familiar when it comes to design. The Mabel gown has an iconic Hayley Paige derived silhouette with a splash of textural novelty; for the bride that wants a little bite of everything. This collection is all about elegant drama. Inspired by the grandeur of the metropolitan opera, gowns are filled with architectural details, sophisticated sparkle, and touches of classic black. Embellished jackets add detail to the gowns and give brides the option of customizing their looks to create styles uniquely their own. Get ready for crystals, bows, lace, and pearls! This collection speaks to my roots as a designer. The focus is on classic construction, and traditional elements dressed in feminine modernity. Florals are a strong theme this season, as well as printed gardenias on silky organza and luscious layered skirts. Cascading petals, jewel encrusted bodices...embroidered sequins on wispy ballgowns, giving a translucent shimmer. Wearing one of my enchanting creations celebrates the inner beauty, brilliance and glamour of a bride.